Request your copy of the AR Catalog today! You will have access to both PDF and an in-browser version of the catalog. Gain a basic understanding of Electromagnetic Interference and Compatibility, the various standards and specifications associated with being compliant, the types of testing available to help engineers quantify the performance of their equipment and some of the basic approaches utilized to help them meet their requirements. Sponsored by: API Technologies Corp.
Broadband amplifiers are used to generate the high field strengths required by EMC radiated immunity testing standards. Although output power and frequency range are the two most important specifications used in selecting an EMC amplifier, the overall performance of an amplifier is often strongly affected by additional internal and external factors. This white paper describes not only the basics but also intricacies, and discusses parameters and characteristics which have the greatest influence on amplifier performance. A technical overview of EMC amplifiers as well as a practical discussion of how amplifier class, compression points, VSWR, foldback, etc. impact amplifier performance in real-world scenarios. 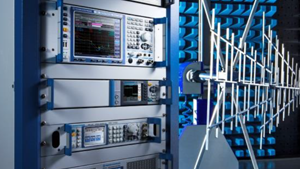 Electromagnetic Compatibility (EMC) can be defined as the ability of systems, equipment, and devices that utilize the electromagnetic spectrum to operate in their intended operational environments without suffering unacceptable degradation or causing unintentional degradation. 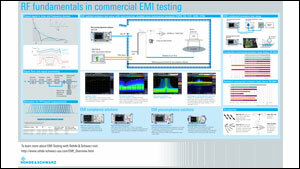 Understanding how and where potential EMI and other problems exist in an electronic system can be a daunting challenge. API’s solutions address all mechanical, electrical, and environmental concerns of your system while ensuring the project is kept on budget and schedule. API’s Spectrum Control design process begins with our extensive library of standard components, which we frequently develop into custom assemblies offering a more complete, high performance solution… saving you time and money. The failure rate for EMI compliance continuously increases, and developers are often left with little insight into identifying the source of failing EMI emissions. This white paper focuses on revolutionary EMI diagnostic capabilities, the need to troubleshoot, more insight than pass/fail results, and iteratively test within a short period of time. 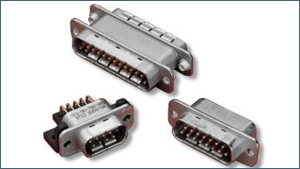 API’s Spectrum Control brand of Series 700 connectors offer the highest performance filtering for all types of professional applications. High current filters are ideal for use in high current 5 volt logic buss, but also can be used for ±48 VDC telephone rack buss, high current switch mode power supplies and DC charging systems. 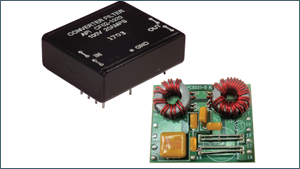 High voltage filters find use in high voltage power supplies and applications requiring U.L. Hi-Pot. The CF Series is an EMI Filter family designated for use with DC-DC Converters. Even though many DC-DC converters have internal filters, often the internal filter is inadequate to meet the international, FCC and Military requirements. 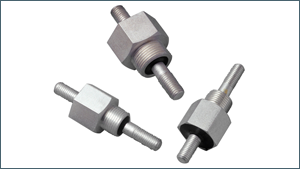 The product line is manufactured with RUGGEDIZED construction and can be HERMETICALLY sealed. What is the difference between stepped scans and time domain scan? 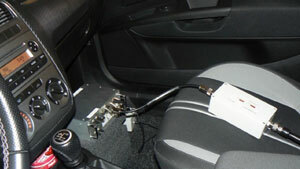 What are the requirements for conducted and radiated emission tests? What do you need for your test setup? We’re offering this poster to you at no cost by simply filling out the form now. * Act now! Offer valid while supplies last!